Server Maintenance on January 31. Aprox Duration: Maintenance will take about 2 hours. Available for one week, from January 31 to February 7. The Master of Time is one of the most elegant Gods of the world of Azuria. Everything on Chronos wardobre is worthy of respect. Gorgeous clocks, divine mounts, beautiful and sacred looking costume weapons. If you are a fan of the royal vibe, today's paragon will fit you like a ring. - Chronos's Master of the Universe Costume Set. - Chronos's Master of Time Costume Set. - Star of the Universe Staff, Time of Magic, Sapphire Protection. - Goddess Swords, Swords of Stars and Universe, Vow of Heroes. - Golden Costume Weapon Fusion Scroll. - Copperfield's Power of Levitation Golden Mount. - Chronos's Key of Gaia and Fragments. - Chronos's School Uniform and Time Library Dress. We're no Chicago, but Azuria is also getting colder this week. Our Hot Items will transform into a special "Freeze Items" Edition, with some handsome Lords and gorgeous lolis ready to play in the snow. If you are a fan of the cold weather, this week's Promotions will feel like fresh breeze of air. The Bonus Mall gave both of them a very nice welcome, but now, is time to move to a better place! Both Christmas Alice and Snow White will appear on this week special hot items gathering. The sweet girls and their accessories will travel together some cozy looks; Anna and Kristoff Sets, Fur Winter Costume Set and more! Since it's chilling outside, the Loyalty Store will also be filled with some cozy fashion and accessories. Cute mounts to move you through the snow, and of course, some fun Gods to give you good company! Blessed Fenrir, Holy Tyr and Ullr will be on the store with their accessories for a week. So don't miss them this time! 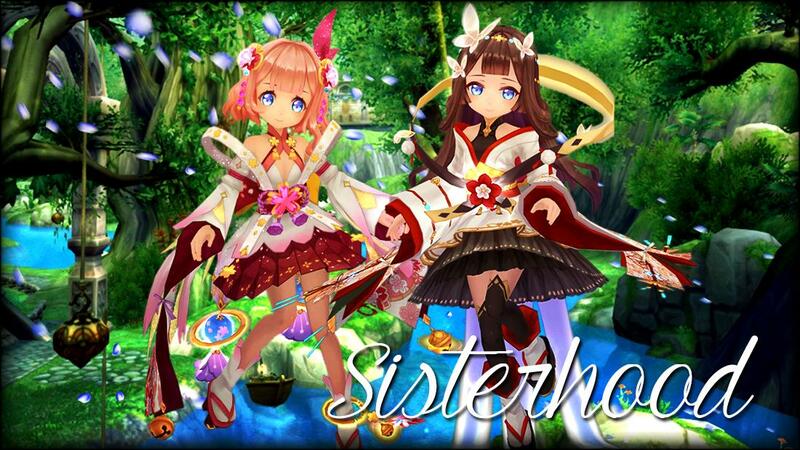 Girls have to stick together, and the sisterhood is coming to Azuria! After the most blossoming of releases last December, the spring is coming back to the Bonus Store. Iwanaga-hime will make her debut in our store in company of her little sister, Sakuya-hime. Plus, Sakuya-hime's Costume Set and new Sorcerer Costume Weapons! And if you are feeling all this oriental vibe, you will certainly be happy with the new costume releases: Nine-Tail Fox Ornaments and Costume Sets! New Adventurer Encyclopedia Rewards: We come with gifts! Since our server's anniversary is everyone's birthdays, we will bring you a special packs edition this February. EXP Items, Fortification Scrolls, Randomizers and Charms in both fortune bags and bundles. Everything you need to grind like crazy this month! Available once again for one month. This edition of our Login Rewards will be highly Eidolon devoted. So if you are missing Halloween Zashi from your collection, you will feel blessed with this month's prizes! Things will get quite scary with the new Rumor Styles for some of your friends. Eidolon XP Crystals, Reroll Scrolls and Eidolon Bags to get yourself closer to the perfect Eidolon score. New shiny stuff! <3 February gon be a fun month! HAPPY ANNIVERSARY soon!!! Huehuehuehue~ Thank you! Last edited by KuroSpecter; 02-01-2019 at 10:41 AM. 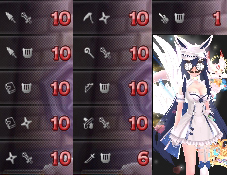 Can't wait to have those Lolis and my fox tail ;u; Thank you! OMG FOX TAILS! Thank you for the update!